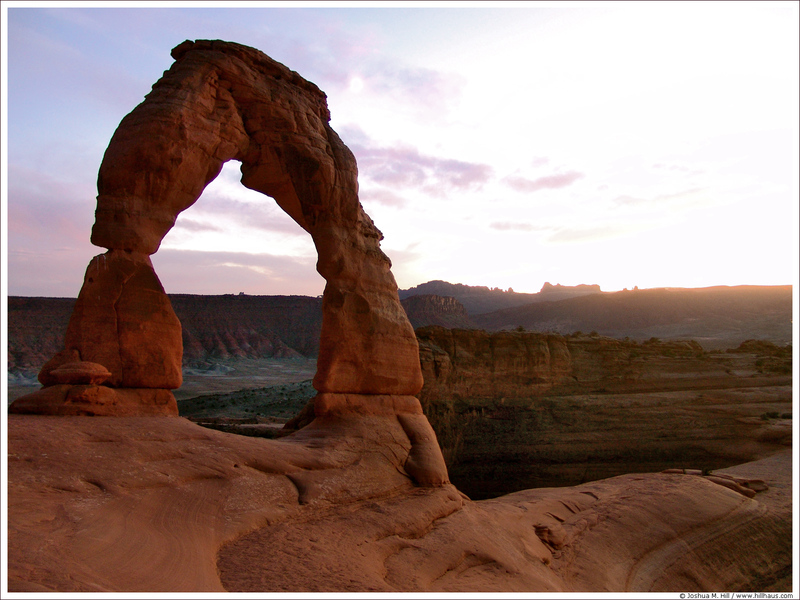 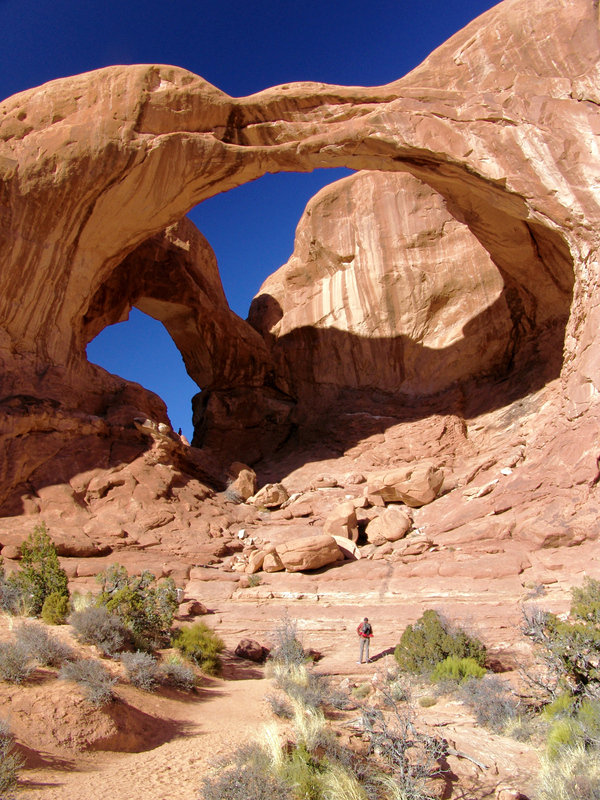 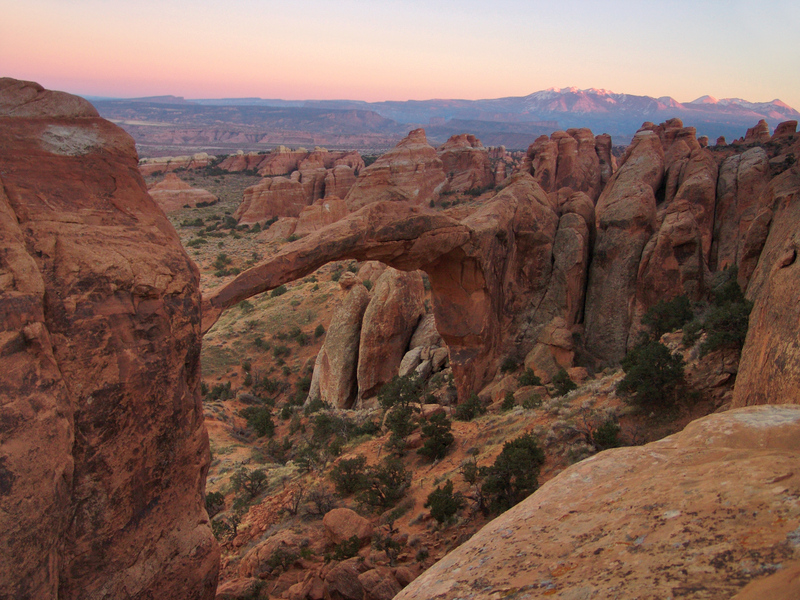 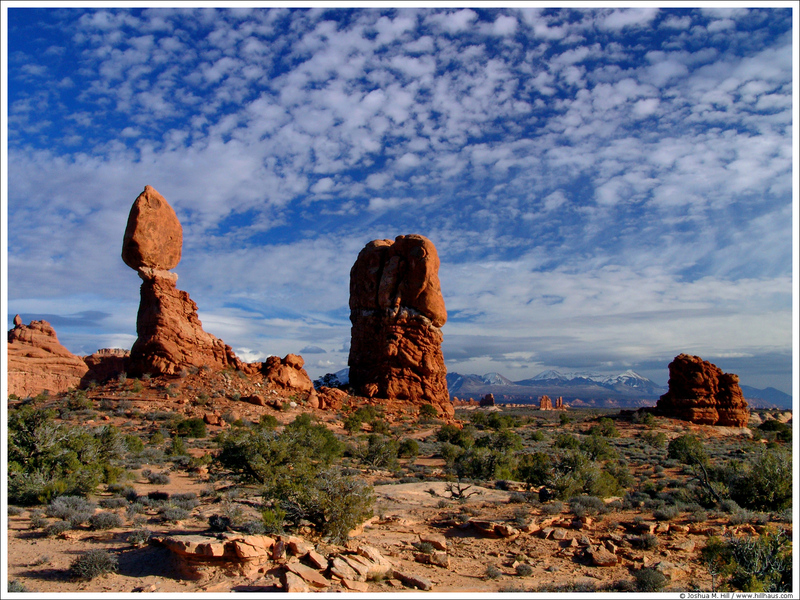 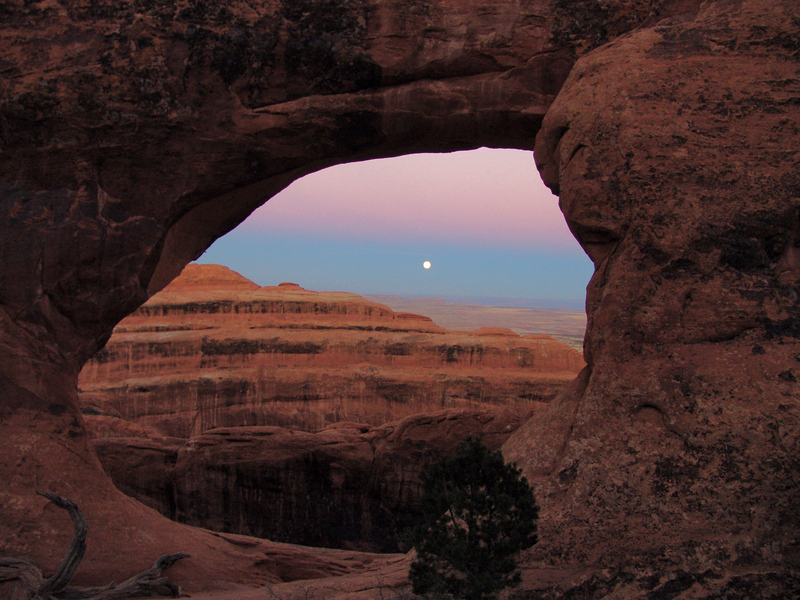 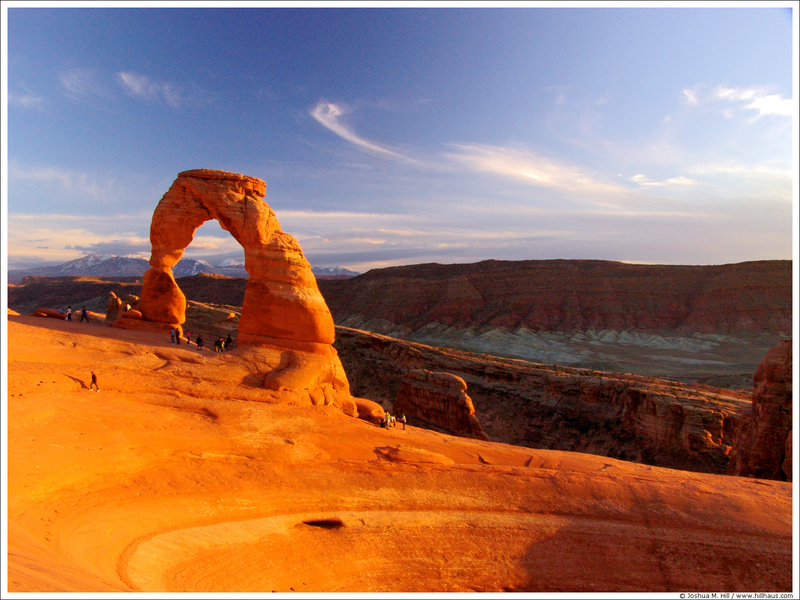 Categories: Utah, National Parks, Arches N.P. 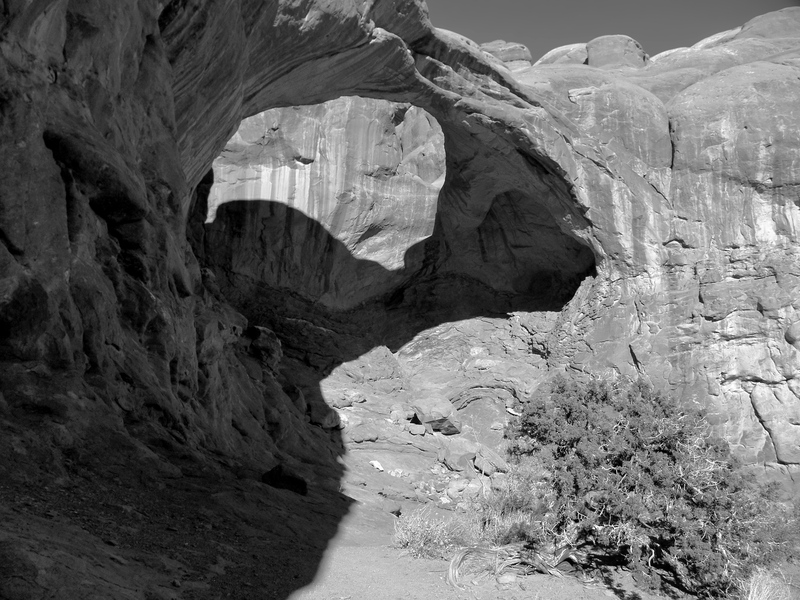 Double Arch is huge. 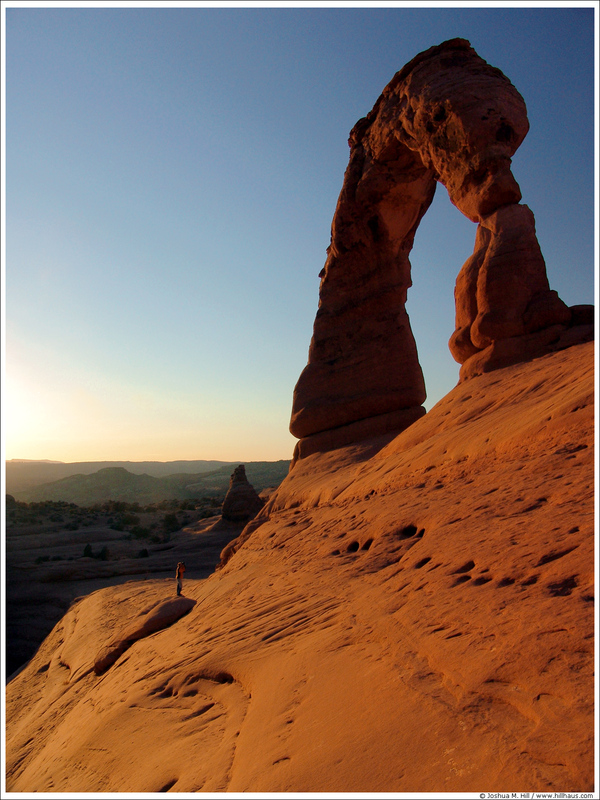 That's Jason standing below the first arch. 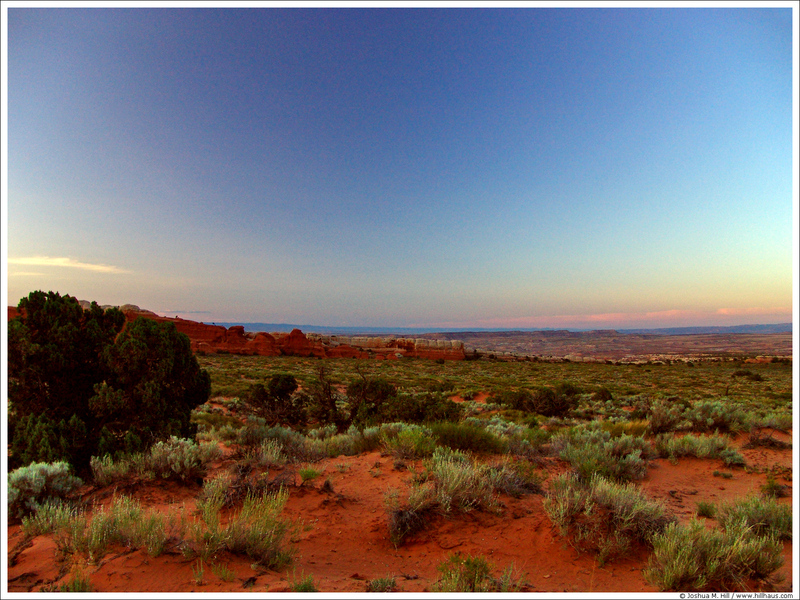 A prolonged exposure after sunset. 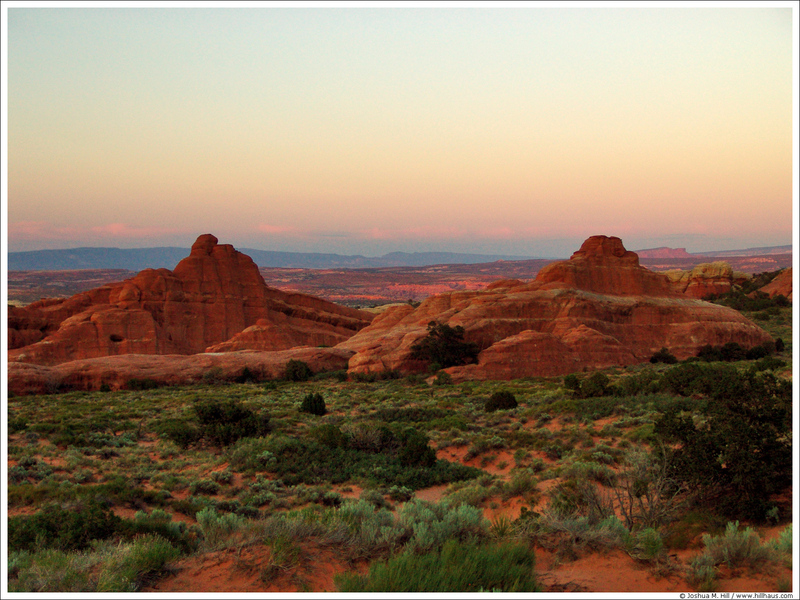 Jason is standing in the bottom left.